Rediscover the joy of business travel at Holiday Inn Melbourne on Flinders for your corporate and group accommodation requirements. Behind the leafy urban facade, the hotel rooms have recently been redesigned with the business traveller in mind. It’s the perfect spot to base yourself in the Melbourne CBD – on the corner of Flinders Lane and Spencer Street, close to shops, restaurants and the corporate part of town. The nearby trains and skybus are convenient and being in the free tram zone makes it easy to reach the office. Behind the leafy urban facade, the hotel rooms and suites have been renovated with a serious injection of style. Save up to 5% off the master account (room revenue only) for groups of 10 or more rooms per night and experience our rooms for yourself. To qualify for the offer, groups must be booked with a mutually signed contract between 26 March 19 and 30 June 2019, and bookings must be consumed by 31 December 2019. Offer must be included in the contact at the time of contracting. Rebate includes 5% off the master account folio for consumed guests rooms only, up to a maximum discount of USD $10,000. All other charges on the master account folio must be paid in full, and do not qualify for the discount. Food and beverage minimums may apply. Promotion is applicable to new business only (business not currently being negotiated or contracted) may be available for repeat bookings, is based on availability, and does not apply for group bookings contacted prior to 26 March 2019 at an IHG hotel). Exclusions may apply, and all bookings are subject to terms included in the hotel contract. 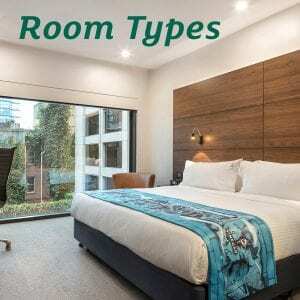 Located in the western end of the CBD, Holiday Inn Melbourne On Flinders is just a short walk from Southern Cross Station and the Skybus terminal. With the Free Tram Zone just outside our doorstep, Holiday Inn Melbourne On Flinders makes the perfect base for your group with easy access to Melbourne’s sights and attractions, the Melbourne Convention and Exhibition Centre as well as the Docklands and Southbank precincts. Kick back after a busy day on the comfortable pillowtop bed, watch the big smart TV with HDMI connectivity, access conveniently placed power points and wirelessly charge your phone on the alarm clock next to the bed. If you need to catch up on work, you can be productive with the functional workspace and fast free Wi-Fi. Our bathrooms have plenty of natural light and awesome showers. Floor to ceiling windows reveal leafy urban, cityscape or pool views and flood the rooms with natural light – with blackout blinds for when you need to sleep. Whether you prefer something healthy or comfort food, you’ll start the day with a really great buffet breakfast. Sirocco serves delicious meals using fresh produce in a relaxed environment. After a long day in Melbourne city, find a spot to perch your elbow at the bar to grab a drink, bite to eat and a chat. Staff provide old-fashioned hospitality with a genuine smile. If you are looking for an overnight snack or early morning breakfast, then our room service menu is sure to please. Inspired by modern Australian flavours, there is sure to be something to please everyone. Work out in style in our newly refurbished 24 hour gym, which has state of the art Technogym equipment. The gym is situated on Level 1. Take a dip and relax in our swimming pool and terrace area, which can be found on level 1. The heated outdoor pool is a great way to unwind, relax after a busy day. Start planning your group accommodation today!